Ahead of the retirement of Charlotte Dujardin’s record breaking ride, Valegro, Olympia Horse Show has created a copyright free film, ‘A Tribute to Valegro’. 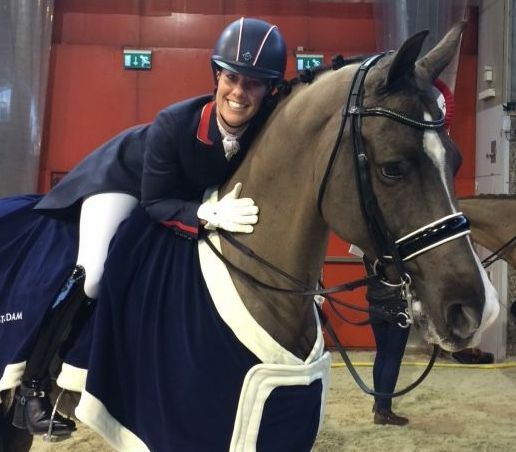 It features celebrities such as Clare Balding OBE, Leona Lewis, Alistair Stewart OBE, and Natasha Baker OBE, as well as Carl Hester MBE and Valegro’s groom Alan Davies. The unrivalled partnership that Charlotte and Valegro have shared has not only broken countless records and claimed multiple medals; it has also won the hearts of everyone who has had the privilege of seeing them in action. This film captures just how special their journey has been. Valegro’s official retirement from competition will take place in the Olympia Grand Hall on Wednesday, 14 December. The retirement ceremony will follow the FEI World Cup™ Dressage Freestyle competition in what promises to be an emotional evening for Valegro fans.